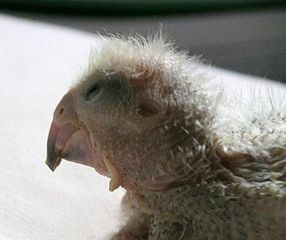 TheUSA has long prohibited the importation of wild-caught parrots, and many countries regulate the collection of native species. However, enforcement difficulties and huge profits ensure that the taking of wild parrots continues on a scale that surprises many conservation-minded bird-keepers. Over the last 18 months, the illegal trapping of African Gray Parrots has been very much in the news (please see article below). Unfortunately, a recent confiscation of Blue-Fronted Amazons, Yellow-Faced Parrots, Blue-Headed Pionus and Scaly-Headed Pionus shows that the problem is not limited to Central Africa. The illegally-collected parrots were hidden beneath cargo in a truck that was stopped in Pernambuco State, Brazil, on September 25, 2011. Most of the birds appeared to be youngsters, which may indicate that nesting trees were destroyed in the process of collecting them (trappers frequently chop down nesting trees in order to reach young parrots). 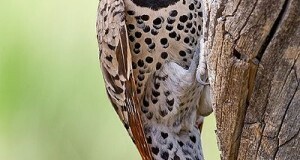 Trees containing suitable nesting holes are a rare resource in most habitats, and are important to the survival of a wide variety of birds, invertebrates, amphibians, mammals and reptiles. Their loss has severe, long term implications. The displaced parrots are being cared for byBrazil’s Environmental Conservation Organization (ECO). Caretakers have the expertise to rear them, but as you can imagine the cost and time involved, especially where nestlings are concerned, is enormous. The stress, poor care and cramped conditions endured by the parrots while in collectors’ hands will ensure that many need medical attention. ECO is soliciting assistance from interested bird enthusiasts. You can learn more about their programs and make a donation here (Portuguese language website) or through Parrots International, which is assisting in the rescue effort. It is hoped that the confiscated parrots will be releasable once they have matured. In addition to the loss of individual parrots and the destruction of nest sites, the collection of wild birds has another important implication. Wild-caught individuals rarely make good pets. The vast majority are destined to lead stress-filled lives during which they will be bounced from home to home, put into shelters, or released in unsuitable habitats. Captive-born parrots are difficult enough to provide for…in the USA alone, several hundred thousand unwanted parrots dwell in over-crowded rescue centers; wild-caught individuals usually fare far worse. Brazil is considered to be the world’s most biologically-diverse country, with over 1,800 species of birds having been recorded (Columbia and Peru rank 1st and 2nd in avian diversity); only Indonesia has more mammals. However, population growth, habitat loss and an array of other problems have long been at work in this amazing wildlife hotspot. Of the species recently confiscated, the Yellow-Faced Parrot, Alipiopsitta xanthops, is most at risk in the wild. Formerly grouped with the Amazon Parrots, it has now been re-classified and is the sole member of its genus. 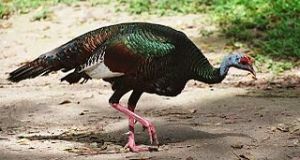 Uniquely adapted to dry scrub habitats (cerrado) in central/eastern Brazil and adjacent Bolivia, it is threatened by the expansion of farms and ranches. A feral population exists in, of all places, Stuttgart, Germany, and in Rio de Janeiro. The other 3 species represented in the confiscation (please see above) are all highly-desired in the pet trade. Accurate surveys are needed in order to better access their conservation status.